I was recently disheartened by the news that Mexican Cocoa-Cola would soon be switching over from sugar as a sweetener to High Fructose Corn Syrup, like the American counterpart. The story of how Mexican Coke became popular on American shelves in a great lesson in adverse side effects and the power of market choice. Of all the farm subsidies the federal government hands out each year, a good sum of that money goes to corn farmers. Because of this the country long ago had to begin finding productive ways to use all the corn that is grown each year. High Fructose Corn Syrup (HFCS) is one product that became prevalent because of our abundance of corn. The low cost sweetener wasn’t very good and it would have never have caught on if not for government tariffs on sugar imports designed to encourage HFCS use. The country was soon using the inferior tasting sweetener in everything. Soda fell culprit and all major brands switched to the bitter HFCS. But only in the United States. In Mexico, cane sugar was still used like the original recipes called for. The United States was producing so much corn in the 1990’s and 2000’s, that the subsidized, artificially cheap corn flooded Mexican markets. Local farmers could not compete with the subsidized prices and large amounts of agricultural labor was put out of work. This contributed to the immigration surge, both legally and illegally. With increase Mexican presence in the United States, companies soon saw a market opportunity in selling Mexican food and drinks on American shelves. Mexican coke in its classic glass bottle with a pop-top, was soon available all over the US. Then Sprite, and soon Fanta Orange. 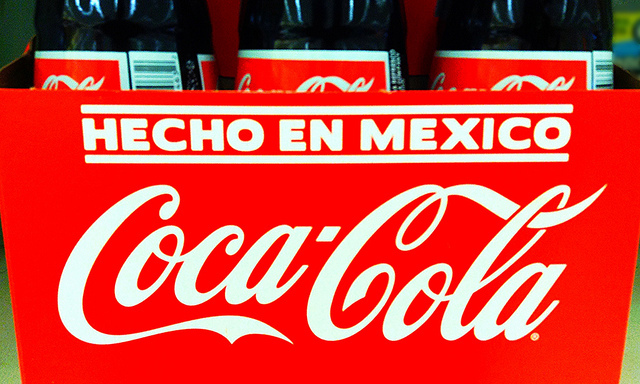 Soon stores and the Cocoa-Cola figured out: It wasn’t just Mexicans drinking the Mexican Coke. Many Americans preferred it! Unfortunately, the economic realities of abundantly cheap US corn have put a time limit on the days of Mexican Coke being sweetened with sugar. But alas, the market has already provided! Pepsi started bottling glass bottled Pepsi and Mountain Dew in New York that are in fact sweetened with sugar. It’s part of a growing trend due to taste preference and health concerns regarding HFCS. Soon after Pepsi launched a line of classic lettered Pepsi, Cherry Pepsi, and Vanilla Pepsi. Gatorade recently switched back from HFCS to sugar. Snapple did the same a few year prior. The market responded to cheap corn and expensive sugar. But customers didn’t like it, and soon companies saw profit in switching back to sugar. No companies will even boast “NO HFCS” or “Made with REAL Sugar” labels. That’s due to the power of consumer choice. When the market decides it has a preference, companies respond. When you purchase an item, you’re voting with your dollars. So be sure to not buy products that use inferior HFCS—we’ll all be happier in the end.